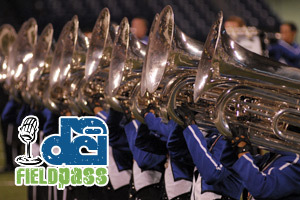 As the entire drum corps community looks ahead to the New Year and the summer of 2010, this week, Drum Corps International recaps some of the highlights of 2009, today with the most listened to episodes of DCI's popular Field Pass podcast. 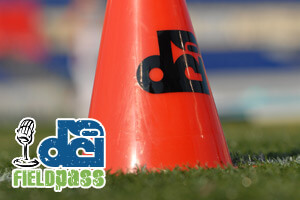 Check out all 45 episodes of the Field Pass from 2009. 1. 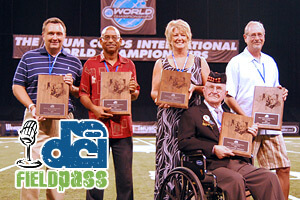 Introducing the DCI Hall of Fame Class of 2009 April 22, 2009: In a very special 2009 kickoff edition of Drum Corps International's official "Field Pass" podcast, host Dan Potter interviews legendary Hall of Fame chairman David Kampschroer ('85) to reveal the five newly elected members of this year's class. 2. From heartbreak to history August 20, 2009: The Blue Devils, both the "A" and "B" corps, went from heartbreak in 2008 after narrow losses at the World Championships to making history in 2009. 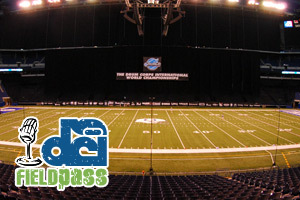 DCI's Dan Potter recaps the biggest week in Drum Corps International competition in this season-ending edition of Field Pass. 3. Coming to a theater near you … August 5, 2009: On the eve of Drum Corps International's sixth annual "Big, Loud & Live" cinecast of the World Championship Quarterfinals, Field Pass host Dan Potter catches up with veteran producer and director Tom Blair who this year is marking his 25th year working on DCI broadcast productions. 4. The dynamic duo August 6, 2009: The Troopers are poised this week to possibly re-enter DCI's coveted "Top 12" after a 23-year absence. Two of the people responsible for the renewed success of "America's Corps" are the brass arranger/instructor duo of Dean Westman and DCI Hall of Fame percussionist Ralph Hardimon. 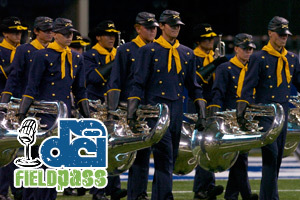 As DCI's Dan Potter finds out in today's Field Pass, the two have a long history working as a team. 5. 2009 DCI Tour preview show June 18, 2009: On the eve of the 2009 Drum Corps International Tour, Field Pass host Dan Potter and DCI Hall of Famer Michael Cesario give us the word on the corps, the shows and the personalities we should be watching this summer.